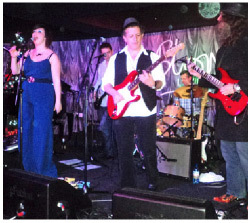 The Nightbreakers are a Party & Function band of the highest quality. A blend of different styles of music is performed by experienced and versatile musicians who come from various musical backgrounds, including Rock, Jazz, Soul and Swing. The band consists of male and female lead vocals, keyboard, rhythm guitar, lead guitar, bass and drums.